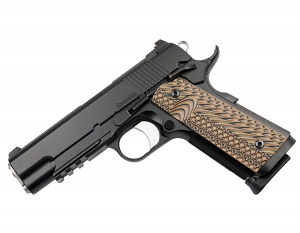 A Commander size 1911, the Dan Wesson Specialist is chambered in .45 or 9mm and loaded with features that make for an ideal all-round carry/home defense pistol. The forged stainless steel slide features the popular Clark-style serrated rib with a single amber tritium dot in the rear sight and a green lamp with white target ring in front. The frame sports an integral 1913 Picatinny rail, 25 LPI front strap checkering, undercut trigger guard and recessed slide stop. 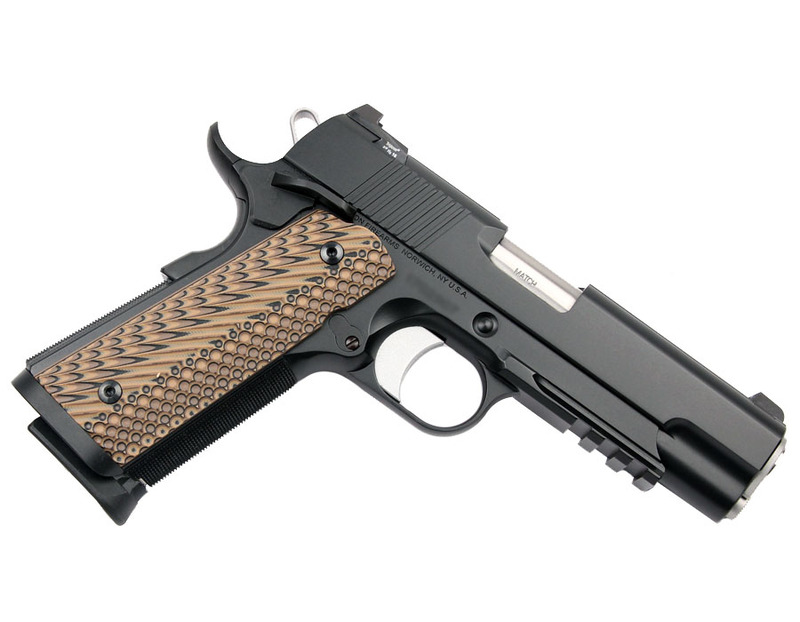 Additional features include an ambidextrous thumb safety, ball end mill cuts, durable duty black finish, aggressive G10 VZ Operator II grips, extended magazine release and detachable two-piece magwell. Comes with two 8RD magazines and case.